Electricity networks are expanding on a global scale and this is creating increased demand for the cables, electrical insulators and transmission towers which transmit and distribute electricity. To help companies identify the market opportunities, we have published a market research report and database which contains important forecast information on this sector. Grid stability and reliability are key drivers for new investment. Overall spend in the transmission and distribution markets has therefore increased and successfully resulted in a decrease in major outages. Despite a strong focus on renewal, especially in Europe, there is also significant expansion of the grid network taking place. Both renewal and expansion projects boost demand for cables, electrical insulators and transmission towers. Our latest report provides the data behind the trends. With new smart grid technology, significant new investment, and added generation capacity, grids that were once standalone are becoming increasingly interconnected. While there are many technological hurdles to overcome this is insuring more projects are coming online. These grid interconnection projects all require cables, electrical insulators and transmission towers, helping to grow the market for these products. A full outline of the demand figures by country can be found in NRG Expert’s Database. 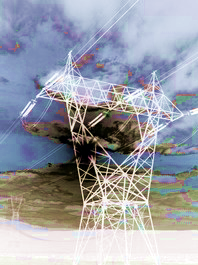 The Global Market for Cables, Insulators and Towers Report and Database provides insight into this market and illustrates the historical origins of the electrical supply industry, which provides the basis for today’s market factors and the future of the Cables, Insulators and Transmission Towers sector. The database forecasts the annual demand and capital expenditure from 2011 to 2016, by country. It also looks at the entire Transmission and Distribution sector, transmission installed base, electricity line extensions and national grid maps.